We thank you for everything your team did on the new Family Life Center at Mt. Auburn United Methodist Church to make it the success that it is. 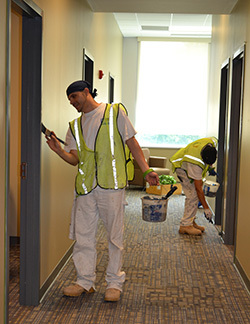 From start to finish you all worked diligently and professional to produce a high quality facility. 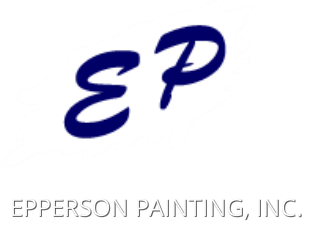 Epperson Painting has been the painting contractor on over 50 of my projects in the last 20 years. Epperson has always been focused on producing a quality project in a safe manner, on schedule and within budget. They thoroughly study the contract and specification requirements and produce what is required. The Cooper Tire Distribution Center was the largest distribution center to receive the LEED Gold Award Certification. On behalf of Cooper Tire & Rubber Company, we would like to thank you for your efforts on this historic project. Your company's vision is helping to transform the construction industry and the communities in which we all live and work. Just a thank you for being an exceptional subcontractor.Your performance on this project was exemplary in many of the project areas we feel are most important, including scheduling, safety and quality of workmanship.